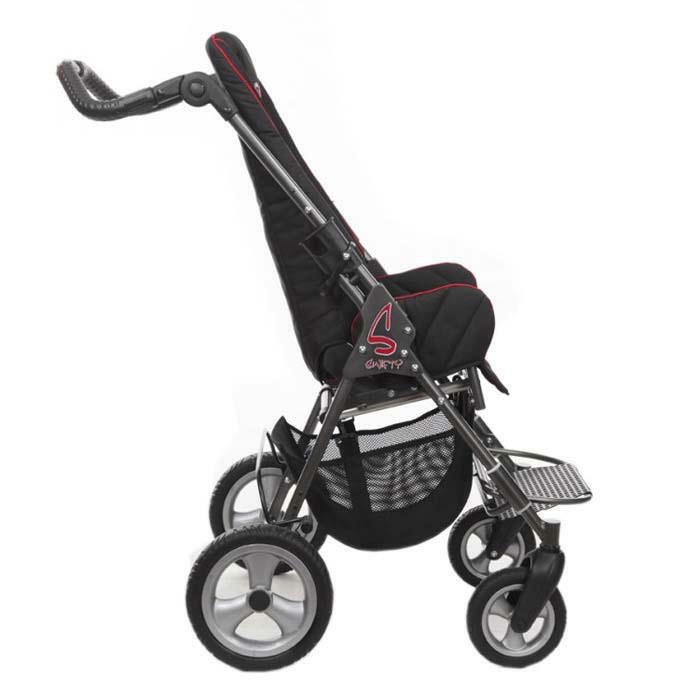 Thomashilfen swifty stroller is a lightweight crash tested innovative, special needs stroller that offers both support and easy transportability. 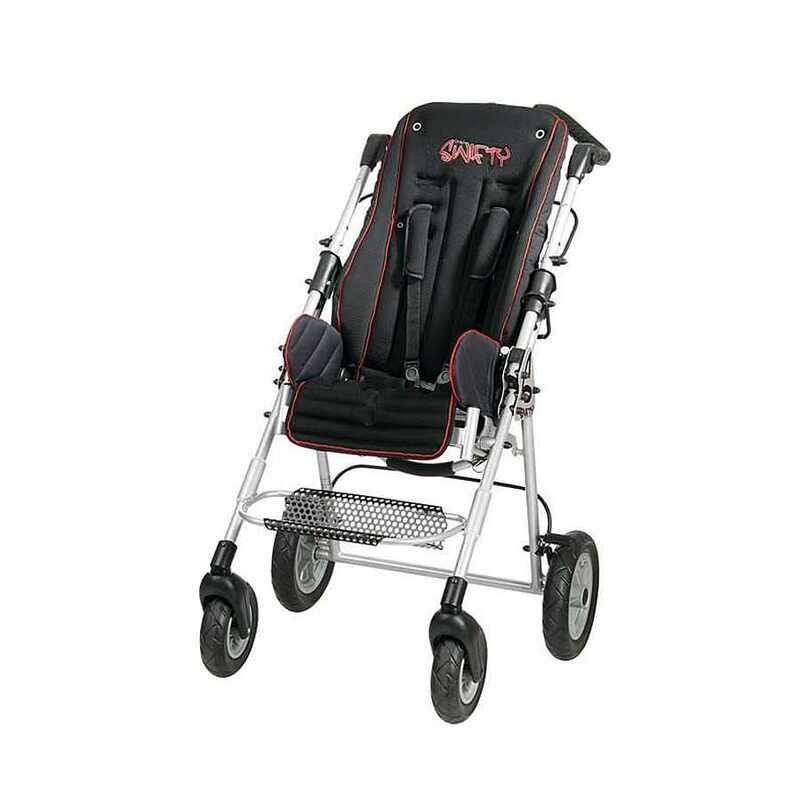 Swifty foldable stroller can easily be transported in the trunk of a vehicle. Swifty has successfully passed the crash test according to the international standard ISO 7176/19 and ANSI / RESNA. The optional seat minimizer kit includes seat pan cushion that reduces seat width, seat back cushion that reduces seat depth and provides additional lateral support, footplate cushion that reduces leg length and a soft contoured pillow. 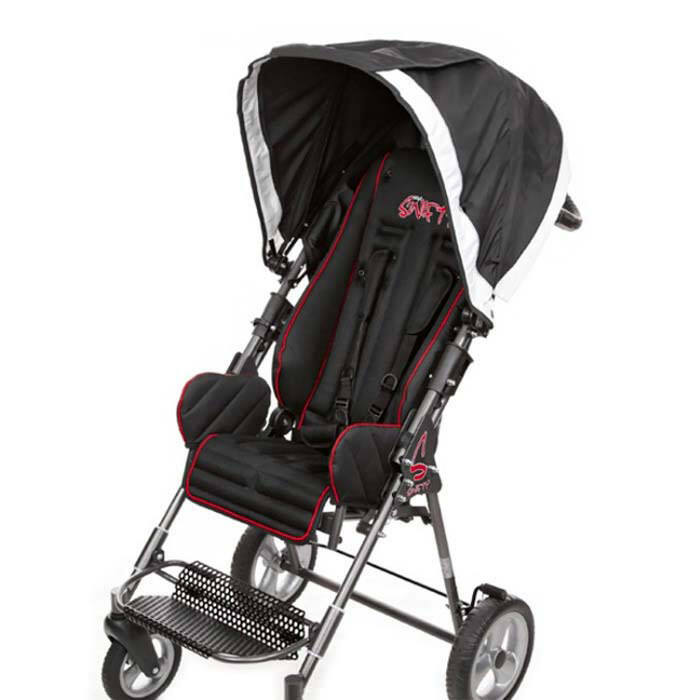 With the seat minimizer option, swifty stroller can be used as an early intervention stroller and it can be removed as the child grows. Seat depth (with seat minimizer) 8.6" (6.7") - 11.2"
Min. 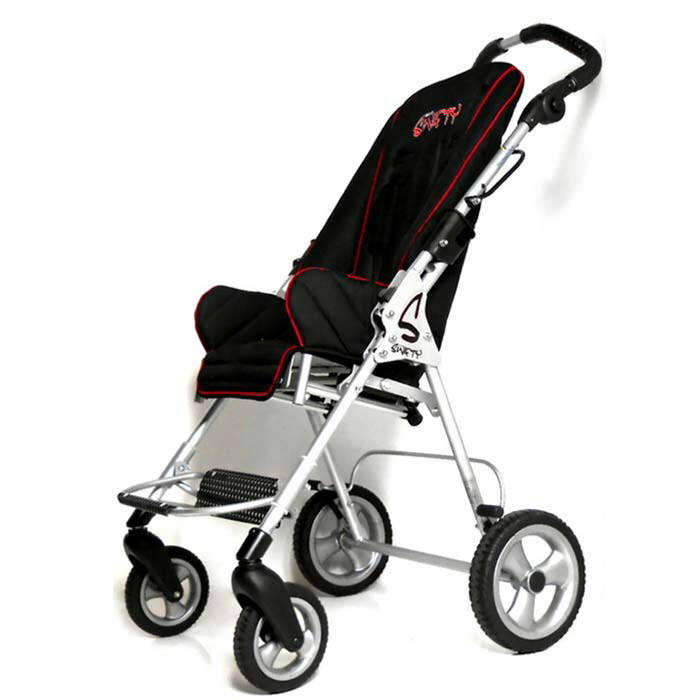 shoulder height (with seat minimizer) 10.2"
Lower leg length (with seat minimizer) 6.3" (4.7") - 13"
Size of foot rest (W x L) 12.2" x 7.1"
Overall dimensions (W x H x L) 24" x 40.2" x 38.6"
Folded dimensions (W x H x L) 24" x 15" x 28.7"
Wheel size swivel wheels (Front) 7.5"
Head Pillow Height 16.5" - 18.9"
Trunk Support Back Height 10.6"
Seat Cushion Seat Depth 6.3"
Seat Cushion Seat Width 8.7"